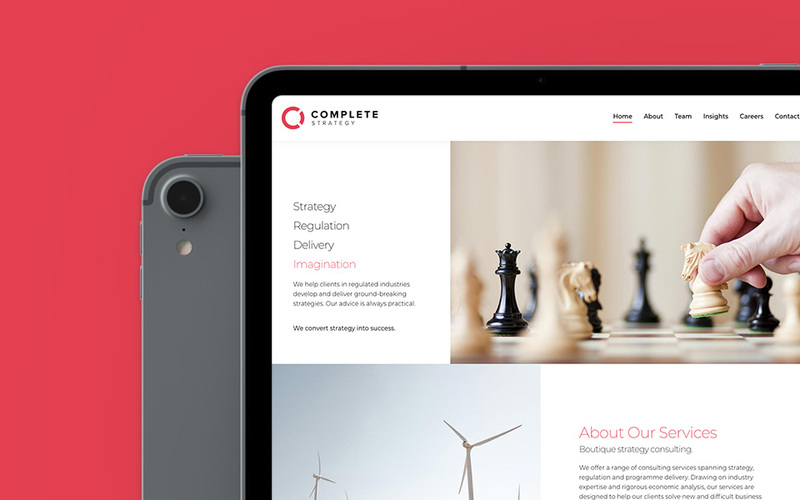 Formed by two senior PwC employees looking to enter the energy and renewables consulting sector, Complete Strategy came to us for help with their branding and website. After a successful Brand Discovery Session, we worked with the Directors to help them tell their brand story and realise the vision for their new company.
" Tony and the Canny team developed a highly professional brand and website that fully reflects the values of our company – thank you!" 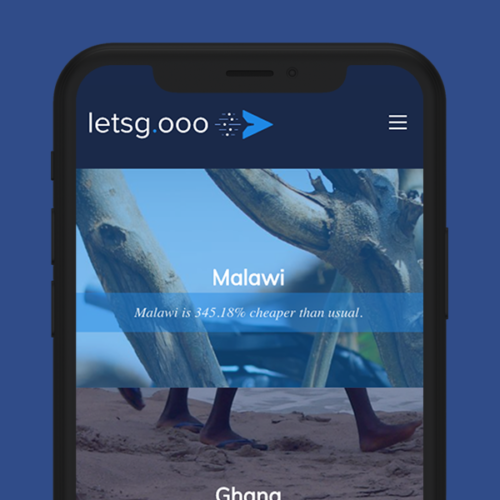 Tired of simply consulting on projects and spotting a new gap in the energy and renewables market, the founders of Complete Strategy wanted to setup a company that not only consults and strategises, but can also deliver implementation and tangible results. 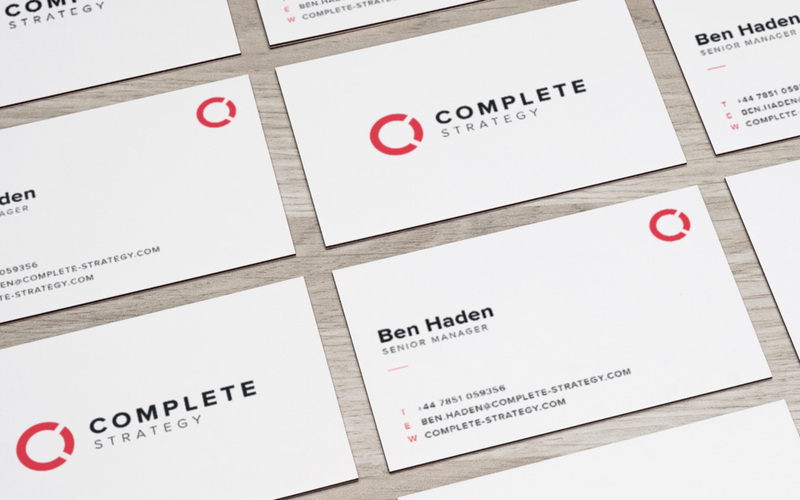 We helped Complete Strategy bring the vision for their new business to life. 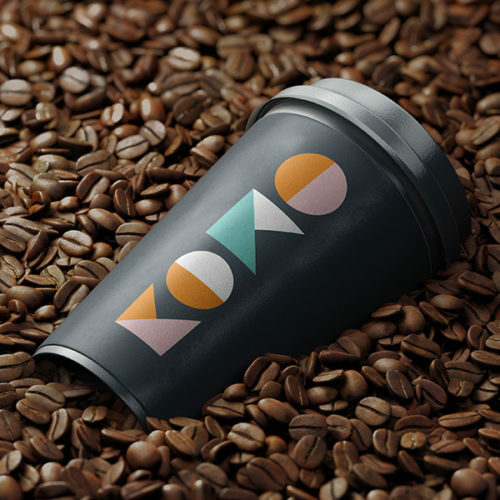 Through an initial Discovery Session and a range of branded online and offline marketing materials, we created an identity that tells the brand story, and reflects the work the company do. For all Complete Strategy are looking to push boundaries and transform the way consulting is handled in the energy sector, the industry hasn't yet caught up with their vision. 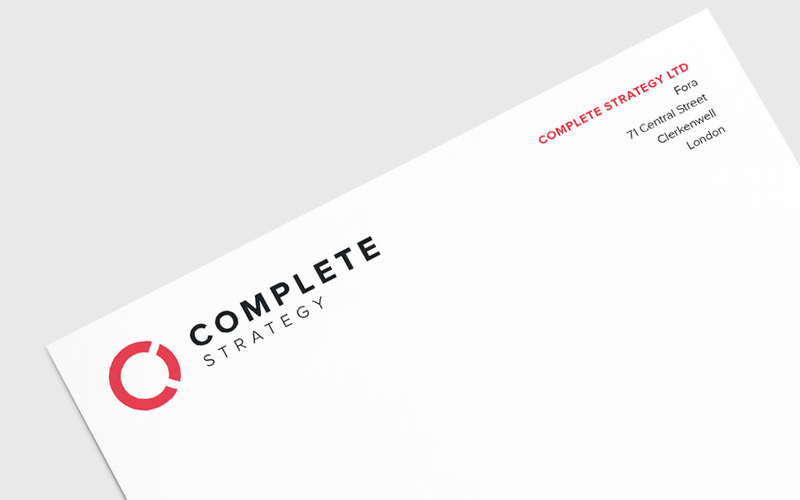 As such, it was important that the Complete Strategy identity work across a range of traditional promotional material like business cards, but looks equally as great on a website or email mail shot. 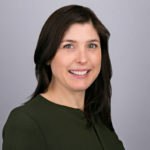 Early in the project, we learned that Complete Strategy were looking for an identity that was easy to interpret, but also has a layer of complexity. This is reflective of their own business practises. 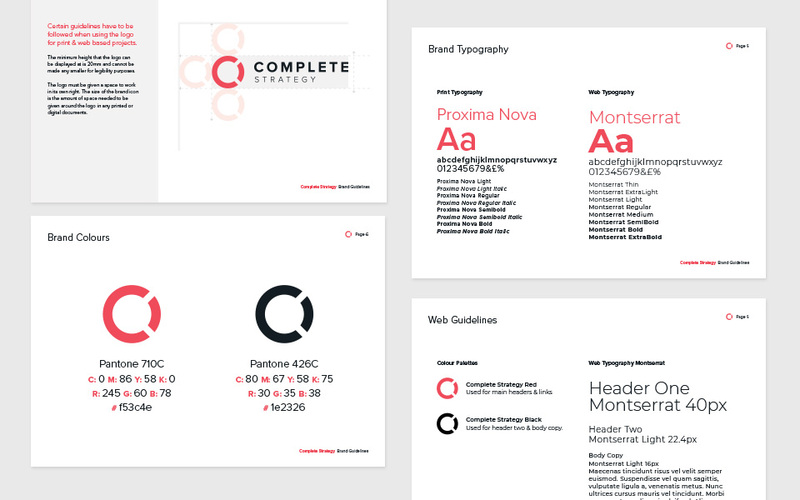 The logo mark reflects Complete Strategy's ability to work alongside a business, slotting into their setup when required. With the business represented as a "C" shape, Complete Strategy slot into position and make the business whole. One thing that was made clear in our initial meeting, was that websites across the consulting sector tend to look the same. Stuffy and over cluttered, suffering from information overload. 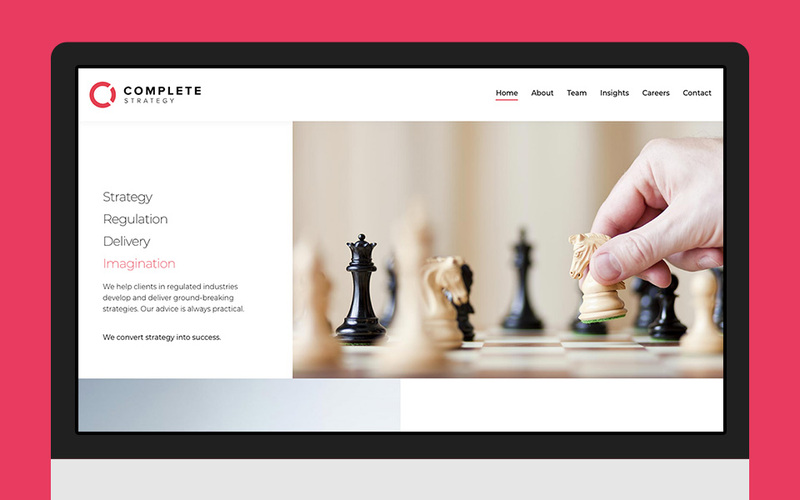 To contrast that, we created a website for Complete Strategy that was clean, clear, and concise. The information is there, in an easy to digest format. The photography is sharp and clean. And above all else, the website is simple and to the point. 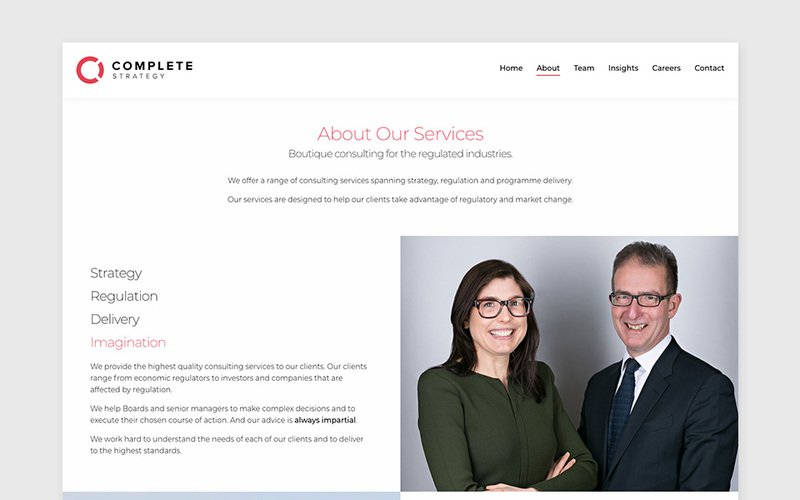 The identity and website we created is clean and simple, with an added deep dive, which reflects the way that Complete Strategy conduct their own business. Redesigning the way that travellers find their next adventure. 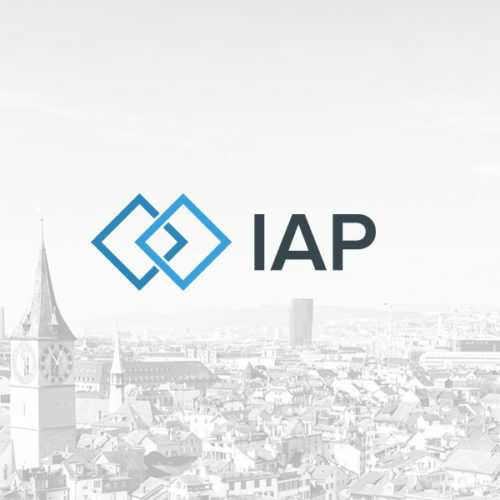 Giving a Swiss investment firm an identity they can bank on.